So, you’re looking for the best dog carrier for a Dachshund, then you probably know how challenging it can be to narrow down your options. That’s why we have put together this list of carriers that will work well in almost any situation. Whether you need a pet carrier for air travel, or you just need one for taking your Dachshund on a short road trip. 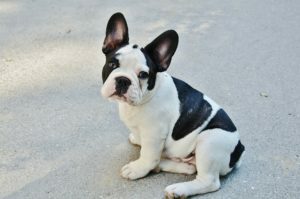 You are sure to find a carrier that will work well for both you, and your dog in the following article. If you just want to know our top picks we recommend the Pet Peppy Expandable Pet Carrier (Buy Online) if you are looking for a soft carrier, or the 2PET Foldable Dog Crate (Buy Online) if you want one with a steel frame. The 2PET Foldable Dog Crate (Buy Online) comes in a wide range of sizes and colors, so you can be sure that both you and your Dachshund will be happy with their new crate. If you have a standard Dachshund then the Medium 24-Inch crate will be a perfect fit. While smaller miniature Dachshunds will do just fine in the Small 20-Inch crate. This crate also comes in 4 color options such as Rawhide Red, Grizzle Grey, Bonny Blue, and Biscuit Beige. Having a choice of colors is nice since most carriers either come in Beige or Grey. 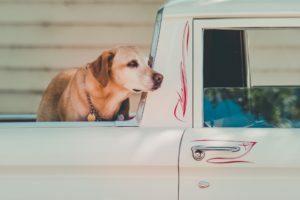 Picking from a few extra color options will also make it easier to find one that blends in around your house, or if you want you can even get one that matches your car’s upholstery. Like most other foldable crates this one is made of 600 Denier nylon with a durable steel frame. The nylon fabric is also fully machine washable, so if your dog has an accident, or if they make a mess cleaning up should be very easy. Each wall of this crate also has a mesh ventilation panel, so your dog will always have a nice cross breeze. The 2PET Foldable Dog Crate also has improved the design of their zippers, so it is harder for a dog to escape. In most other soft dog crates the zipper can be opened from the inside if you have a dedicated dog who wants to escape. This crate shields the zipper on the inside, so it is almost impossible for your dog to manipulate the zipper in order to break free. The Pet Peppy Expandable Pet Carrier (Buy Online) might just be the most versatile and unique dog carrier for a Dachshund. This carrier not only expands on both sides, but it also comes with an optional tunnel expansion. The carrier itself measures 18” L x 11” W x 12” H when it is not fully expanded. The side panels alone add another 6 to 12 inches to the width of the carrier, while the tunnel is 16” inches when fully extended. This carrier is also perfect if you are looking for an airline approved pet carrier for a dachshund. It is just the perfect height and width to fit under the seat of a plane. Then once you are in the air you can extend one of the side panels to give your dog a little extra space. 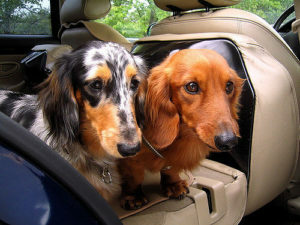 Moreover, if you plan on taking this carrier in a car or SUV you can extend both of the side panels and connect the extension tube to give your Dachshund lots of room to roam free. The extendable side panels also have a mesh canopy, so you will easily be able to check in on your dog and make sure everything is OK. Even if you aren’t traveling this carrier can still be a fun place for your Dachshund to play around in and get some sleep. The expandable tunnel will be their favorite part since it mimics the underground Badger tunnels that Dachshunds were bred to infiltrate. The Petnation Port-A-Crate (Buy Online) is a very spacious and lightweight dog carrier that comes in a wide range of different size options. 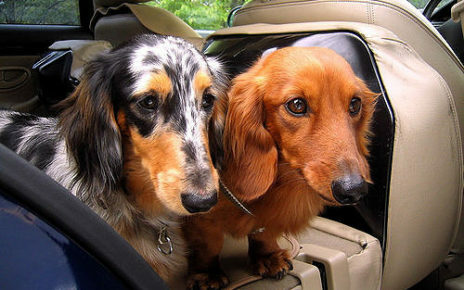 If you have a miniature Dachshund then the 20-Inch model will offer more than enough space. 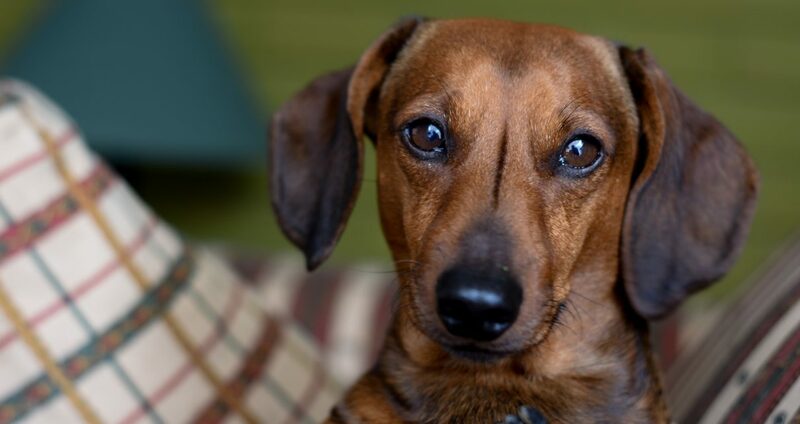 A standard Dachshund, on the other hand, will probably do better in the 24-Inch model. This crate is extremely lightweight and portable due to the fact that it is made of durable fabric with a collapsible steel frame. The fabric walls are made of water resistant nylon, with mesh panels on every side in order to provide ample ventilation. 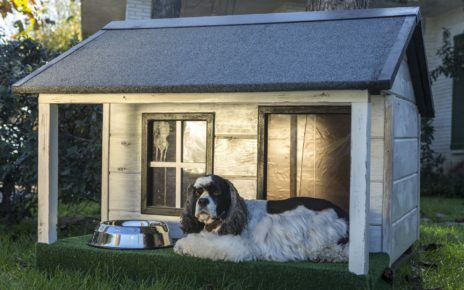 There is also a drop-down privacy screen on the front door, so you can darken the interior a bit so your dog can get some sleep. The Petnation Port-A-Crate also comes with a carrying strap that will make it easy to carry and load into a car or SUV. In addition, thanks to the soft rounded edges you can also load this crate into the back of your car without having to worry about tearing the upholstery. All in all this carrier/crate is a great option if you need a high-quality dachshund travel carrier for your next vacation or dog play date. The Aspen Pet Porter Heavy-Duty Pet Carrier (Buy Online) is a great carrier if you need a sturdy carrier for your car or a plane. This carrier measures 24.1” L x 16.7” W x 14.5” H, and it can hold dogs that weight 15 to 20 pounds. This crate meets most airline travel requirements, so it can be checked into the cargo hold of a plane. As always check with your airline first to make sure, but this carrier meets all of the IATA standards, so it should be fine to bring on most planes. This carrier is also good for dogs that can’t be kept in a soft carrier. If you have a dog that you know will dig right through a fabric carrier, then this carrier is what you need. 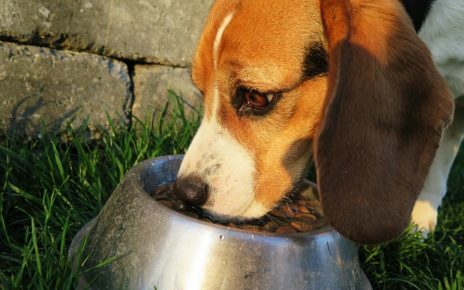 The durable plastic walls will stand up to anything your dog can dish out, and they are also very easy to clean. The Aspen Pet Porter Heavy-Duty Pet Carrier has excellent ventilation on both the top and the sides of this crate. It also has a secure latching door and tie-down straps for added safety. You can also get this carrier in a number of color and size options, so we’re sure you will find one that meets your needs. The Natuvalle 6-in-1 Pet Carrier Backpack (Buy Online) is a unique dachshund backpack carrier that can also be used in a car or a plane. This carrier/backpack comes in a few different sizes. The medium is for 15 to 17 inch long dogs, so it will be just the right size for a miniature Dachshund. The large is made for 17 to 19 inch long dogs, which should be just large enough for most standard size Dachshunds. What really sets this carrier apart is that it can be used as a backpack or a shoulder bag. The large shoulder straps will make it easy for you to comfortably carry your dog around on your back. That means you can take your Dachshund with you anywhere, without having to struggle to hold onto a strap with one hand like you would have to with most other carriers. This carrier is also airline approved for use as an under-seat carrier, so you can bring it with you on a plane. You can also easily load this carrier into a car or SUV on the front or back seat. The seat belt loops will also allow you to secure the carrier, so your dog will remain safely in place. There is also a leash inside this carrier, so you can make sure your dog doesn’t easily escape. 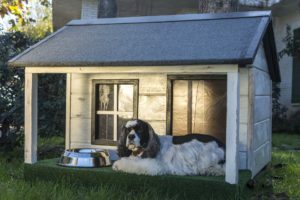 There are also reflective safety strips and a photo ID panel incorporated into the design, so you can rest assured that both you and your dog will be safe whether you are walking around, or if you are loading them onto a plane. The Paws & Pals Airline Approved Pet Carrier (Buy Online) is a great choice if you need a soft carrier that you can bring onto a plane. This airline approved pet carrier for Dachshunds measures 19-Inches x 10-Inches x 13-Inches, and it can hold up to 15 pounds. This carrier is compliant with most airline policies, but you should always call ahead before you take it on a plane. The soft flexible walls make it easy to fit this carrier under the seat of most planes. It also has an“Unwind and Bind” feature that will reduce the risk of escape if you have to open the carrier while on a plane. The Paws & Pals Airline Approved Pet Carrier is also very easy to carry since it only weighs 2 pounds when it is empty. You also get a comfortable fleece pad included with this carrier, along with ample storage compartment space to carry your dogs treats and any other accessories. The FurryFido Reversible Pet Sling (Buy Online) is a great carrier if you want to bring your Dachshund with you every day. This dachshund sling carrier will hold dogs up to 13 pounds, and it is long enough to fit most Dachshund breeds. If your looking for a dachshund front carrier that has some style then this is the best sling. Most other slings on the market look far less attractive, and they tend to come in colors that just don’t look that great. This sling also has a nice size shoulder strap, so it will evenly distribute your dog’s weight without looking too large and out of place. You can also machine wash this sling when it starts to get a little funky. It also has a safety collar hook, so you can make sure your Dachshund doesn’t try to jump out and escape. Make sure when you pick a dog carrier for a Dachshund that you get one that is big enough for them to move around freely. If your Dachshund can’t easily turn around in their carrier it can be very uncomfortable and unsafe. Be sure your carrier is at least two inches taller than your dog, as measured from the top of their head. The length of the crate should also be 4 inches longer than their full length. In most cases, you will either have the option of getting a carrier that is made of soft or hard material. Soft carriers are great since they are lightweight, and they usually collapse down to save a lot of space. The only downside to soft carriers is that they are not as durable, so if you have an aggressive digger they can tear their way out of the crate. Hard carriers, on the other hand, are very durable, so they can stand up to almost any abuse. They are also very easy to clean out since they are usually made of plastic, so you can hose them out if they get soiled in any way. The only downside to hard shell carriers is that they tend to weigh more, and they are not as easy to store. When selecting a carrier for a Dachshund you might want to know the length of most common Dachshund breeds. This will allow you to select the right size carrier for your dog, so you can be sure that your dog is comfortable and safe. The average standard Dachshunds height is anywhere from 8 to 9 inches. 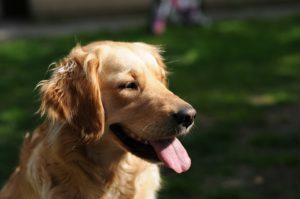 The AKC standard says that they should be between 13.8 and 16 inches long. The average miniature Dachshunds height is anywhere from 5 to 6 inches. The AKC standard says that they should be between 8.5 and 11 inches long.